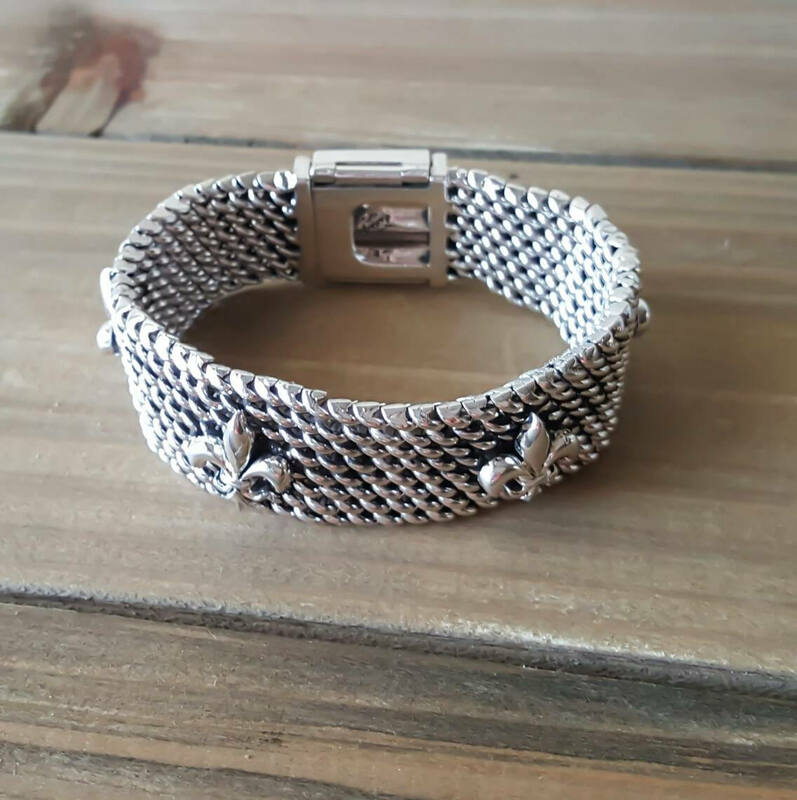 An iconic symbol that stands for the Holy Trinity, the fleur de lis has over many decades become synonymous with Louisiana living and Cajun culture. 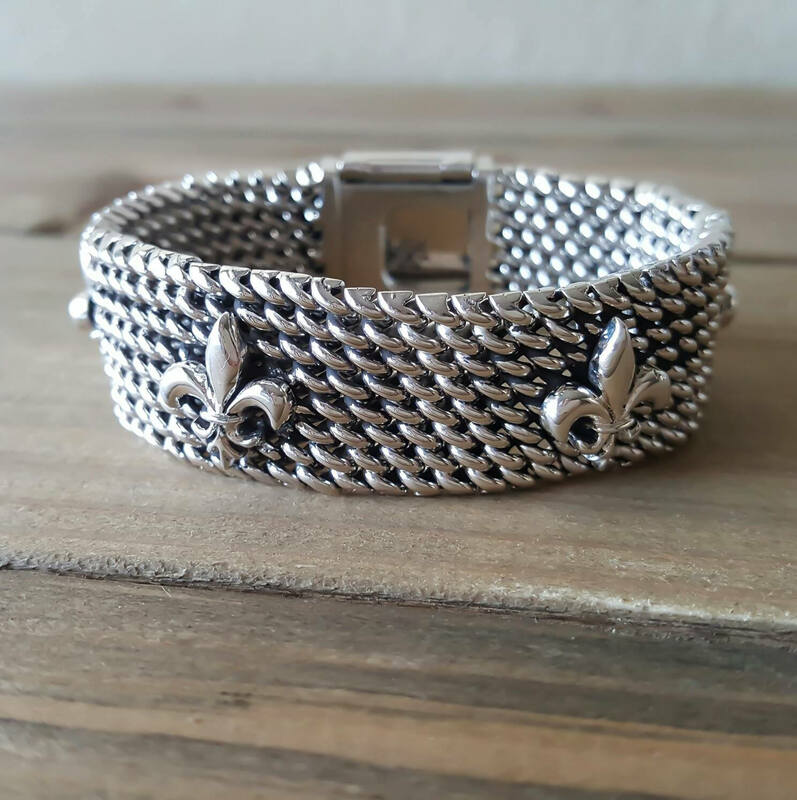 Whether wanting to show off your LA pride or looking for a thoughtful gift idea, this hand-woven sterling silver bracelet is a piece of jewelry that covers all the bases. Hand-woven. 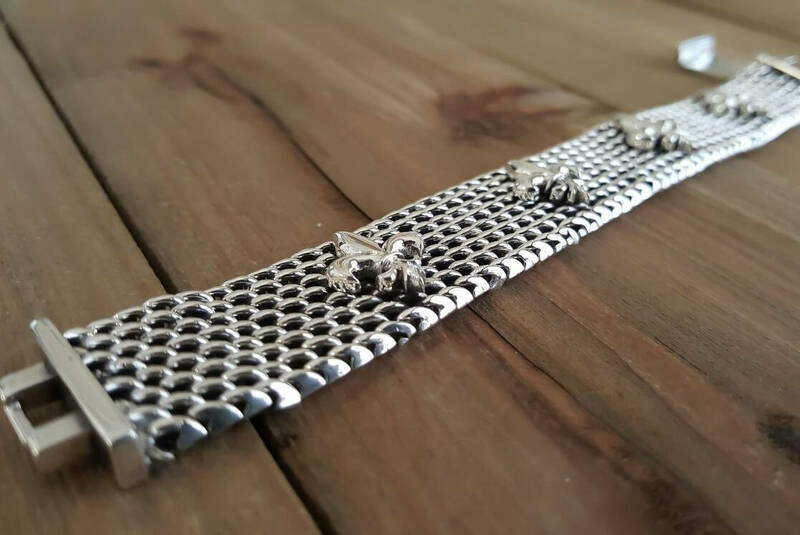 This bracelet takes a few days to be created. 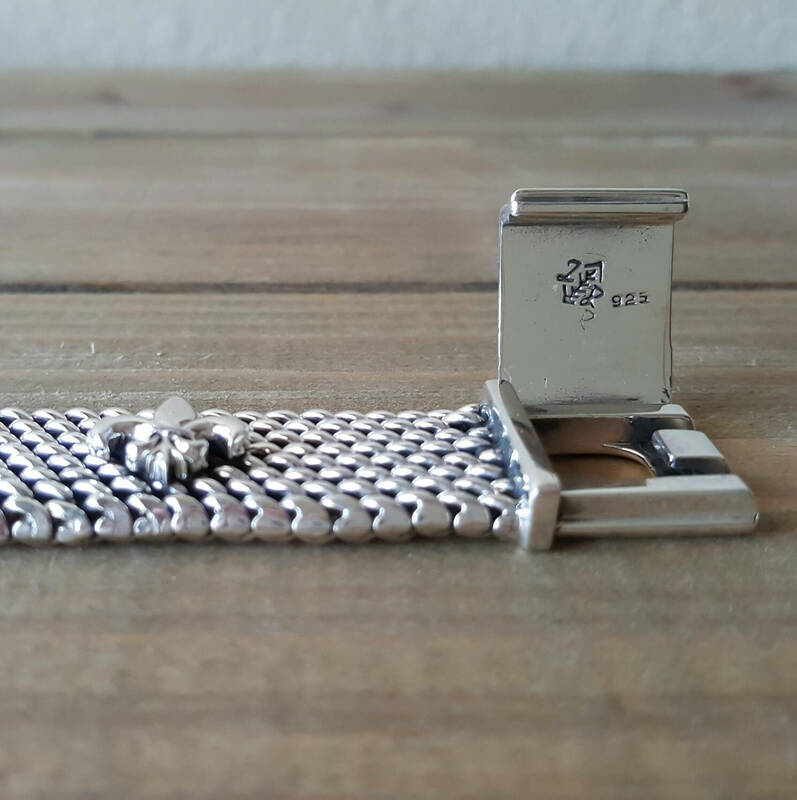 We carefully handcraft each of our pieces individually to preserve uniqueness and quality. We guarantee full satisfaction or full refund. Please check our policies.